Where is Bland County Medical Clinic Located? Map? You can click "Directions" below, and enter your location to get step-by-step directions provided by Google Maps. 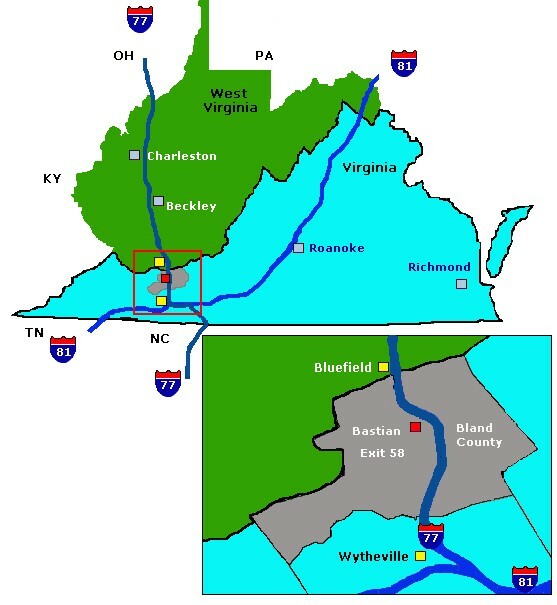 The following is a simple map that illustrates our location in the general area and proximity to nearby exit 58 on I-77 in Bastian, Bland County, VA.